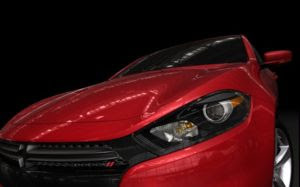 The 2013 Dodge Dart compact sedan will make its worldwide debut at the North American International Auto Show in Detroit this coming January. The all-new Dart will be made available with an option of three engines: a Tigershark MultiArt 2.4-litre, turbocharged MultiAir 1.4-litre, and a “Tigershark” 2.0-litre engine, with three transmissions also available. Features on this new vehicle include a signature split-crosshair grille, dual exhaust as well as full-width LED taillights adapted from the Dodge Charger. To be built at Chrysler’s plant in Belvidere, Illinois, the 2013 Dart is the first vehicle of Chrysler Group that is based on Fiat architecture and adapted from the Alfa Romeo Giulietta.